Can You Benefit from Psychic Online Classes? Why would you want to take online classes for psychic development? 1. You can progress at your own rate. 2. Meditate when you have the time. 3. You don’t live near a metaphysical bookstore or development circle. 4. You need a little nudge to help you move forward in your studies. 5. Looking for some support. 6. Want to connect with a group of like minded people. Sign up now at http://www.psychiconlineclasses.com and immediately receive a FREE Introductory Lesson to get you started. I’ve been teaching psychic/mediumship classes in one way or another for over 11 years and have lectured and presented workshops since around 1990. During this time I have realized that many people want to develop their gifts and abilities but sometimes need a little support or encouragement. Sometimes they can’t get to local groups or have the right timing to attend them. That’s when I decided to provide lessons in video form to present online. And create guided meditations in audio to compliment that lesson. Each monthly lesson is different and does not follow any particular progressive plan. So they are intuitively created for the time frame and needs of the class. Can’t make it to local classes? Then this option is just for you! Self Study as You Want It! For those of you who want to study with Melissa Leath, but live too far away to attend onsite classes, this is a wonderful way for you to participate in your own self-development, only in a closed, private group. Held once a month, with projects to keep you working at home. They are for unfoldment and development of psychic awareness and mediumship awakening. Both novice and seasoned students benefit from these classes. A warm and safe environment has come from these classes and all are welcome. You can join anytime during the month and will be sent directly to your Free Introductory Class. Then, on the first week of the month, you get your monthly class packet. Who should attend? — Have you been getting psychic “hits” at different times of the day? Do you think you are psychic, but not sure? Are you interested in gaining control over this gift? Would you like to share with others of like-mind, in a safe environment? Then this is the class for you. Video Package sent to you the first of each month, with follow up exercises. Study the program when you have the time! Group interaction on a secret Facebook page the last Thursday of the month. 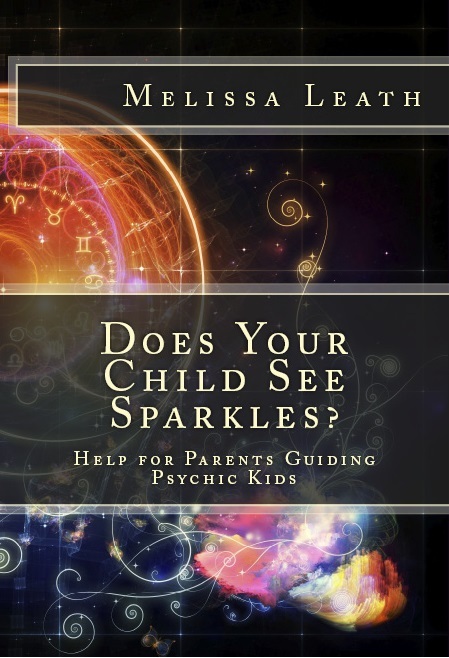 Many lessons taken from Melissa’s book “Psychic Integrity”. On-going classes. A new class starts the first week of each month. You can jump in anytime. The Video Packages are sent via email the first of each month. And the Facebook Interaction will take place the last Thursday of the month. — In-between, you have the opportunity to watch the video, listen to the audio, and practice your development meditation. Do you ever wish you could access the wisdom of your ancestors? It’s possible do that, and many people do it regularly. There is some prep work to do for this, so I’ll describe how I recommend doing it. Always start before you go to sleep. Go into a light meditation and connect with your guides. You actually have a Dream Guide, so it’s important to connect with that one in particular. During this meditation, ask your guides to meet you in the subconscious mind during your dreamtime. The subconscious is a non-judgmental area for you. So, if there is a fear from a past life, etc., you can go there in the dreams with your guides and experience the event with no judgment, just love. This usually clears the fear. Subconscious is the part of your mind that is open to intuitive and flowing information. Your guides can reach you easily through the subconscious. If you invite guides for the dreamtime, then pose a question or reason for them to be there. Ask for a special guidance. You may remember the dream and the information given to you. If not, the answer is still there, just know that it will move up to the conscious as you need it. Yes, as you develop, your dreams will get much more colorful and informative. You may even go to a school setting and learn spirit stuff! After a while, you will be able to know that you are in your dream, and can continue the conversation there. This called Lucid Dreaming. After you are familiar with this process, you can meet your Ancestors (or more recent relatives) in the dreamtime. Just ask your Dream Guide to introduce you to a particular ancestor you might need to connect with. That encounter will happen in the subconscious and you can access it at later times. Your ancestors may come in different ways. But usually it is a shift of energy. There is a certain “knowing” that they are there. And they will not talk like your regular guides. They impart information in full downloads, or bundles of unrecognizable pieces. Some may take awhile to decipher. Others are things you already know and understand. You already have the connection to your ancestors. They are part of you. The come before you to spread the path open. So it is more like you are just becoming re-acquainted with them and their knowledge. After the dream is over, and you realize they have been with you, always be grateful to your guides and ancestors for being there. Communicating with your ancestors can become a beautiful part of your spiritual life. Does A Metaphysical Workshop Certification Really Prepare You? Many people these days are very interested in being of assistance and working in healing fields. This could include Psychic or Medium Readers, Astrologists, Tarot Readers, Energy Healers, Coaches, Consultants, Spiritual Counselors, Ministers…the list goes on and on. It seems that with the shifting energies of the Universe, many are becoming aware, enlightened and knowing they are to be of service. But let’s stop and think about this for a minute. Of course, being of service is a noble and important aspiration. But in doing so, you have to be aware of your limitation as far as assistance goes. You must be prepared. You must have experience. You must be in the field, training under supervision for a certain period of time before you have the confidence to carry on by yourself. I remember when I was ordained in the ministry of a spiritual church. I felt very inadequate…and I had been in training for well over 10 years, with on going classes in spirituality, meditation practices, metaphysics, work within the church, internship, countless hours of reading countless numbers of books. And all of a sudden, I had license to be a minister. To minister to people with problems, situations, challenges. I had been working with people for years, assisting in spiritual counseling and mediumship. But I was awestruck. What if I told someone the wrong information? What if….what if…..what if…. I felt like I had been pushed out without any training. But after I continued my work, serving my clients and following my ministry (my heart led passion), I realized I had been given plenty of training and experience over the years. If I ran into a problem I couldn’t work with properly, I had a battery of associates and colleagues to rely on. I realized I didn’t have to do it all. I didn’t have to do it by myself. This sort of vocational trauma came after I had been sufficiently prepared. What happens when you have only attended one workshop, given a certification and turned out to do the work? I’ll tell you what happens: You may feel so unprepared that you fall away from your chosen vocation and wander around not really knowing what to do, never really fulfilling your heart’s desire, your chosen path. You may end up making severe mistakes. You may present yourself as capable of performing a service to your clients. But they don’t know you are without proper experience. Sooner or later, the faith and trust your clientele give you is lost. Be sure to continue in your chosen field after your first certification. But go slowly. Take your time. Work with a mentor or someone you respect in the same field. You know they say, ‘Wine is not done before it’s time!” Wine actually has to ‘work’ for a period of time before it is ready to drink. Otherwise, you get a very bitter taste! Be the glass of fine wine. Be the best you can be in whatever you choose to do! Charge for the Gifts of Spirit? Some students ask me: Is it right to charge for one’s services as a medium? After all, it’s a gift from God, isn’t it? It seems like you are cashing in on God’s goodness by taking money for it. I love that question and I grappled with it myself for many years. When we were working within the Spiritualist Church, an associate medium got a small booth at area psychic fairs and charged for short readings. I was aghast! I felt she was disrespecting the spiritual gift by charging for her readings. Several years later, I went to a psychic fair just to see what it was all about. There were readers and vendors, and several people giving lectures about various spiritual and metaphysical concepts. The attendees were hungry for information. Some were unfamiliar with the concept of spiritualism, but still were interested in finding out about spirit communication. The short readings that attendees paid for introduced them to spirit communication and psychic abilities. I realized that there are other valid ways to present spiritual information as well as in church. Educating the public about spiritual concepts can be a respectable way to make a living. Let me ask you this: Have you ever bought a beautiful painting because the artwork and colors were so special? Have you ever had your transmission rebuilt by an expert mechanic who had been recommended to you? Have you eaten at a five-star restaurant and tasted the exploding flavors of the chef’s specialty? Or bought an engaging musical recording by an aspiring singer/songwriter? All these people have God-given talents as well. Would you suggest these artists just give you what they do, without any kind of compensation? If you’ll notice, the artists and chefs and mechanics that are extremely talented and sought after receive the highest pay. Being a medium, psychic or intuitive is no different. Many readers have been led to do this spiritual work full time. It is their ministry. Ministers from many religions receive a salary, and earn their living that way. Do not judge anyone who is asking for payment as an even exchange of energy. When you go back to the thought and understanding that everything is energy, then money starts to make more sense. I believe that all service is worth a fair and even exchange of energy. Many times that means paying money for what services you receive. Other times, an exchange of materials or other services is appropriate. Many people embrace bartering as a means for this. If you intend to make a living as a psychic or medium then you will want to address the idea of accepting money as a way of exchanging energy. Look around at other readers to get a good idea of what the market in your area is doing with charging for services. Be sure to stay within that market range. Many readers provide two different time frames for readings: one long session for full readings (usually an hour, depending on the type of reading you do), the other is a shorter session (to address specific areas or follow-up from another session). Be sure to let your client know what the time frames are for each session, and then adhere to it by setting a timer. Starting on time and ending on time is essential. You create the time standard by the way you deal with it. I usually set my timer five to ten minutes before the session is over. I tell the client (before the session starts) that the timer will go off in time for us to wrap up the reading. That way they will know ahead of time when the session is done. If you honor the time set for the session and tell your client when it is over, then they will honor your time also. This is an excerpt from my book Psychic Integrity, The Respected Practice of Modern-Day Mystics. 1. Focus on Empowerment. We often talk about being self-empowered. But now you must realize that others hold their own power, too — and it might not be associated with the way you understand. While moving in your world, always allow others to be who they are and believe what they want to. It is not for you to decide. 2. Intent. In the higher vibrations, there are no more secrets. Be fully honest and forthright in your dealing with others. Allow yourself and your motivations to be apparent. 3. Perception. Understand that a problem in your eyes is not always a sign that something is wrong. There are times when negative situations are necessary to facilitate change. What you see as a problem is merely one aspect of the Whole. You must view all aspects as perfect. 5. Balanced Ego. Always check the motivations for your actions or words. If your ego grows too big, it will cut you off from your Source. But, if it is not big enough, you will never be a whole person. 6. Discernment. Look for and make your choices without judgment. Carefully monitor what enters your energy field. Choose only those things and ideas that complement your own vibration. Everything else should be released without judgment. Learn to choose only what feeds and nurtures your Soul. 7. Mastery of Thought. You may not have control over the thoughts that enter your head, but you do have complete control over what stays there. Know when to replace it with an uplifting or loving idea. It is your responsibility to become a master of your own thoughts. 8. Responsibility. Do you feel drained? You may be trying to take on some else’s responsibility. You are only responsible for yourself. You cannot help anyone by taking on their responsibilities. You cannot do for them what they need to do. As you can see, moving into higher vibrations requires a new mindset. You must redefine who you are, your responsibility to others and yourself. Ponder on these thoughts and see how you can implement them into your life. Mediumship is being aware of the vibrations of spirit beings, and receiving messages from them. It is the communication of a deceased loved one through an intermediary. The information is then given to those who are grieving the loss of the loved one. Connecting with the crown chakra (or seventh energy center) at the top of the head, a bridge is built to the higher levels or planes of existence. By building this bridge, an association is made with visions, imagination, and spiritual awakening. The main purpose of mediumship is to provide recognition of continuing life after the physical death, and to transmit love and encouragement. By working through the crown chakra, the medium’s spiritual path is empowered and opens to integrity in becoming responsible in communication dealings. Association with the higher realms also plants a firm foundation for the connection with finer vibratory entities and spirit teachers. Mediums do not usually attract lower-level energies, as long as the connection is established with higher vibrations. Another reason spirit beings open communication with the living is to give evidential information that can be acknowledged by those still in the body. They create physical activities often recognized as paranormal activity, and perceived by humans in a physical manner. Mediumship involves cooperation between a living person and a person in the spirit realm. This entails either communication of some kind or physical manipulation of energies. Mediumship is divided into two categories: mental (communication) or physical (energy manipulation). Mental mediumship is communication by thought transference from the spirit to the medium. Mental information is communicated, and then spoken by the medium. Information is brought to the medium as feelings, words, thought forms or impressions. How clearly the information is relayed depends on how deep the medium is under control: the deeper the control, the purer the information. Mediumistic control has to do with the connection made by the spirit with the medium, using a combination of mental and physical energy. The bond or link is made by the two through the consciousness of the medium. It can be a strong link or very light. The control is determined by the strength of the link. If the link is a good one, practiced over time, different levels of trance can be manifested. Since spirit information flows through a living mind, with personal emotions, it could become clouded with personal influence by the medium. Mediumship, or communication with deceased loved ones, can be very healing to those of us who are left here on earth. The person going through a grieving process may need evidence to prove there is life after death, and reassurance that the loved one really is alright. There is a re-uniting of what appeared to be separated. Then closure begins. The spirit also has a real need to connect with their living loved one to let them know all is well. There is a reaching out by both parties to recognize that the bond has not been broken, just transformed. Then the deceased loved one has an opportunity to share the experience of transition. This gives comfort with the knowledge that death does not end life, but creates a new expansion of what life really is. Physical mediumship is accomplished by using physical energy, under control as in the mental mediumship, but usually from a much deeper trance. The spirit manages the transformation of energy into physical objects, movement or sounds. A paranormal event occurs in the physical, and can be felt, heard or seen by the living. This physical form of mediumship is probably the most unusual demonstration of what a spirit entity can do through medium control. Unfortunately there have been far too many contrived and deceitful examples of the séance event. Because of that, many people discredit the entire concept of mediumship. The spirit entity in control of the evidential séance uses both mental and physical energies of the medium to create a physical manifestation, something all those sitting in the séance as participants in the experience can witness. The physical medium has an abundance of electromagnetic and etheric energy (human energy field, part of the aura which is rich with human emotions) emanating as part of their aura/energy field. Usually, while the medium is in a deep trance state, the spirit being uses this etheric energy and creates ectoplasm. If you have ever seen the movie “Ghostbusters” or any ghostladen, scary program, you have seen a filmy or cloudy emanation around or coming from an entity, spirit being or ghost. This is the best representation of ectoplasm available. Although the medium’s etheric energy is the main source for the event, usually more is gathered from the sitters (séance participants). If the energies are plentiful, a large amount of ectoplasm is formed to work with. The use of personal auric energy is the main ingredient for this operation to be successful. It requires the full attention of everyone in the séance. This is why the sitters in the séance not only experience the event, but actually become part of it. It can be a very dramatic demonstration of energy manipulation by spirit. The Trance State: A deep control by the spirit will produce a trance state of consciousness with the medium. A lighter trance is used for mental mediumship, and a deeper trance is used for physical mediumship. Indicators for the trance state are similar to those for deep meditation. Trance can be recognized by the slowing down of many of the medium’s automatic physical body processes which are generally controlled unconsciously: heart rate, breathing and body temperature. It is not the same as the sleep state, but could be confused with it. For all intents and purposes, the medium is unconscious. Since spirit speaks directly through the consciousness of the medium in the trance condition, the voice will sound much different from the person’s usual voice. This is considered more accurate information and is often called direct voice. Channeling is a mild form of trance, in which the medium is usually still awake and aware of the information coming through. It deals with spiritual teachings coming from the higher realms. As I see it, if you are unaware of the information coming through, you are in deep trance. If you are given a trail of information as a conversation, a lecture or a class, then you are channeling. The medium gives consent to be used by the spirit being, by going into the trance state. The spirit is now in control of the energy transformation and can manipulate the ectoplasm to produce phenomena. There is no limit to what can be done through physical mediumship, as long as the proper conditions are held in the séance room. These physical phenomena can range from rapping, levitation of objects or people, flickering lights, independent writing/painting, direct voice, and partial or full materialization of spirit bodies. As a witness in many séances during my years in the work, I have seen a light show that would rival any rock concert! I have seen apports (objects materialize out of thin air) in full view during the daylight. It truly is amazing what can be done during spirit control. Why is it important to have physical phenomena? If the spirit mind (and we all have a spirit mind) can transform matter, then the same intelligence can transform other areas of life to manifest the world we know we could have. Information is being shared by many metaphysical teachers about the Law of Attraction and Manifestation. Physical phenomenon is another form of evidence to validate manifestation. Recently Ivy, Bella (5 years old) and I were relaxing in the family room. Ivy and I chatted randomly when Bella put her hands up to quiet us saying, “Ssshhh, please be more quiet, I am listening to the future.” Ivy and I took a breath, looked at one another, and fell silent. ~~ Grandmother Christine. When to Tune In, and Tune Out — Empaths specifically are particularly sensitive and can instinctively “take on more water” than they can handle in being compassionate to others. But be careful. Empathy alone may not allow you to be passionate and compassionate, but load you down with other peoples woes. So many are and will be suffering by taking on someone else’s stuff. If we’re not careful to filter/ discern what we tune into, we could be compromised by a full download of emotion. Operate from a warm, but detached perspective to be a conscious point of reference. A lifeguard, while rescuing a drowning swimmer, has to approach the situation with great caution and wisdom. He must insure that he too will not go down with the panicking victim. If we tune into the fear and panic, then our positive potential is completely compromised. And we do no one any good. Mind Your Psychic Awareness — Mind how you tune in and perceive. There’s a time to turn it up, and a time to turn it down. Know the difference and proceed in your own ability. Always act in a responsible manner, being intensely aware of the worldly external space and your internal environment. Don’t get caught up in foolish mind flips or side tracks. Other people always want your to be part of their drama. Everything has been shaken up by the higher energies now pouring in, so almost everyone is still walking through the mist. If your light is bright, then moths are attracted to you. They want to use your light to help them see. They can also take or scatter your energy. 1. Breathe golden light into your aura until it is fully gold. This raises your personal frequency. 2. Surround your golden aura with a deep blue color. (This seals in your energy, and acts like a shell of protection.) Ask for protection and strength. We are responsible for our own happiness; our thoughts and emotions affect others and the whole cosmos! Everyday life makes the energy shifts challenging! The new energies are forcing us to deal with dysfunctional relationships around us, confront our shadow sides, and search for our soul/ inner peace to bring positive changes. Dis-eases, illnesses, anxieties, depressions, and feeling of being disconnected or overwhelmed are the common tendencies when one can’t cope with the new energies! Even positive, peaceful people who live with joys and happiness find it overwhelming due to the quickening of time and intensity of the mixed collective energies! We are all becoming empathic. It’s important to use discretion when recognizing outside energies. Be well!